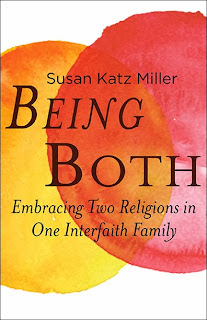 Susan Katz Miller is the author of the new book Being Both: Embracing Two Religions in One Interfaith Family. 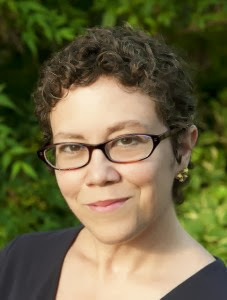 Part of an interfaith family herself, she has served as board co-chair of the Interfaith Families Project of Greater Washington, D.C. She has written for a variety of publications, including Newsweek, New Scientist, and the Christian Science Monitor, and is the founder of the blog On Being Both. She lives in the Washington, D.C., area. Q: You write, "I did not feel I had a choice but to raise my children interfaith." What made that the right choice for your family? A: For some families, choosing one religion is the right choice, but not every family can or will choose one religion. In some cases, both parents feel very strongly about their own religions. In other cases, both parents are secular but they still want their children to be literate in both religious languages. In our case, the obvious choice would have been Christianity, since both my husband and my mother were raised as Episcopalians. But I was determined to give my children a love for Judaism. You can say that by raising them with both religions, they did not have the experience of total immersion in one faith, and that's true. But there are many specific benefits to doing both, beyond interfaith literacy. These benefits include a sense of balance, the idea that the culture and religion that each parent brings to the family is equally important, and that children can be raised to celebrate their natural sense of interfaithness rather than having to camouflage it. Q: What reaction has there been to the book, in general and from the interfaith community? A: A lot of people, usually those who have not actually read the book, feel angry, fearful, and threatened. I am Jewish (and interfaith), and I understand the fear that Judaism will disappear. But we feel that our children are being given a powerful connection to Judaism, when the alternative might have been no connection. We understand that if they want to join Orthodox or Conservative communities when they grow up, they will have to convert. And that's okay. On the other hand, I am hearing from adult interfaith children, and interfaith couples, from all over the world who feel they are being heard and seen for the first time. There has been an incredible outpouring of stories from people who feel they have permission, at last, to talk about the positive aspects of being part of an interfaith family. And I think we are seeing a real paradigm shift in terms of religious institutions recognizing that some interfaith families rejoice in being both, and that this does not mean that they will abandon religious practice. Q: You describe interfaith communities in various cities, including Washington, D.C, New York and Chicago, as providing especially good support for families. What are the key elements that make those communities work well? A: For young couples, interfaith communities provide workshops with rabbis, ministers and priests working together to support couples making decisions about marriage and children. This is qualitatively different from a workshop run by a single-faith religious institution. And then, for families with children, the interfaith education programs provide that same sense of balance. Each classroom has a Jewish teacher and a Christian teacher, so that both perspectives are represented, and so that children can feel comfortable asking any question, and they don't need to filter or self-censor their experiences with extended family from either religion. Finally, celebrating a holiday or having a discussion in a room full of interfaith families is a very powerful experience. It goes beyond feeling "included" or "welcomed," because we are the heart of the community. Q: Looking ahead, what do you see as possible patterns or trends for interfaith families? A: Because interfaith families are becoming more common, religious institutions and single-faith communities are becoming more welcoming and inclusive, and that's great. I need and want those communities out there, so that if and when my children choose to affiliate with one religion, they will have progressive religious institutions that accept them. In some religious communities, interfaith families are now the majority of families, and that is going to have an impact. But I think at the same time, independent interfaith family communities are going to thrive and more of them will be created, as more families seek them out. A community designed by and for interfaith families in order to provide support and education is still going to be very valuable. And as Hindu, Muslim, Buddhist and other religious minorities are also intermarrying, they will form communities that use the Jewish and Christian interfaith communities as templates. That's already starting to happen. A: Right now, I see my role as mainly helping religious institutions to process the reality of interfaith families described in my book. So I am doing a lot of speaking, to churches and synagogues, and to groups of clergy and religious leaders. I am also very interested in making sure that people from interfaith families are included in interfaith "dialogue." And eventually, I want to write more books for and about interfaith families raising interfaith children. We need more than one book in this new genre. A: Love transcends boundaries. Love will prevail. That may sound romantic and naive, but it is the truth I experience in my own family and in the families I describe in my book. We have made huge progress in accepting interracial marriage, intercultural marriage, and marriage equality for LGBTQ people. Now, interfaith families are coming out as happy, well-adjusted, and ready to join in the work of creating a more just and peaceful world.